Philippa Charlotte "Pippa" Middleton; an English author, socialite, and columnist. She is the younger sister of Catherine Middleton, Duchess of Cambridge. She ascended her fame after appearing at her sister's wedding to Prince William in 2011 as the maid of honor. After Catherine Middleton and Prince William's wedding, everyone started showing their interest on Pippa Middleton. Today, here we will talk about Pippa Middleton's wedding. Know who her future husband is. Also, check out the detail information of their wedding. The lucky person to marry beautiful Pippa Middleton is James Spencer Matthews. He is a British hedge fund manager, heir to the Scottish title of Laird of Glen Affric and hedge fund manager. The couple got engaged on 17th July 2016 after dating for almost 11 months. What's the next step after engagement? Its wedding day, a special day! 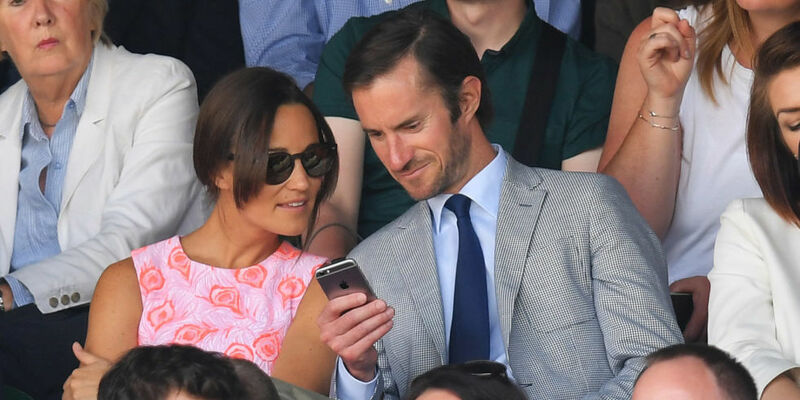 According to Brides, Pippa Middleton will marry her fiancé James Matthews on 20 May, Sunday, in one of her local village church at the St. Mark’s Englefield in Berkshire. They planned their special day as a private event and will invite only close friends and family members. Where will the couple get married? As per some sources, there were rumors that the couple will marry at Jame's hunting lodge located in Scotland or will have a lavish bash in London. But, later Pippa chose quaint St Mark's Church in Englefield, Berkshire. Pippa's niece Charlotte and nephew Prince George will be flower girl and page boy at the ceremony. Many famous guests including Kate and her husband William, Prince Harr, Ben Fogle and Roger Federer will attend the ceremony. James Middleton, Pippa's brother, will attend the wedding ceremony with Donna Air. “Made In Chelsea” star Spencer's girlfriend Vogue Williams is not invited. She revealed that it would be inappropriate to invite her after dating for only a few months. Pippa Middleton kept her personal life behind the curtains. She gave her dating affairs a low- key profile. After many failure relationships, Middleton finally found the man of her life. As per some sources, she was first spotted out with handsome former professional racing driver and hedge fund manager, James Matthews in October 2012 at trendy Hakkasan restaurant. Middleton and Matthews briefly dating in 2012 but their relationship came to the end after she started seeing Nico Jackson. However, Nico Jackson and Pippa Middleton's relationship ended after dating for around three years. Later in October 2015, Middleton was spotted in Mathew's house. She popped up leaving Chelsea's house in the same year carrying flowers. Just after a month of her breakup with Nico Jackson, she dated Matthews once again. They started dating since September 2015. Pippa Middleton and James Matthews will tie knot after being engaged for around 9 months. Congratulations to the lovely couple!